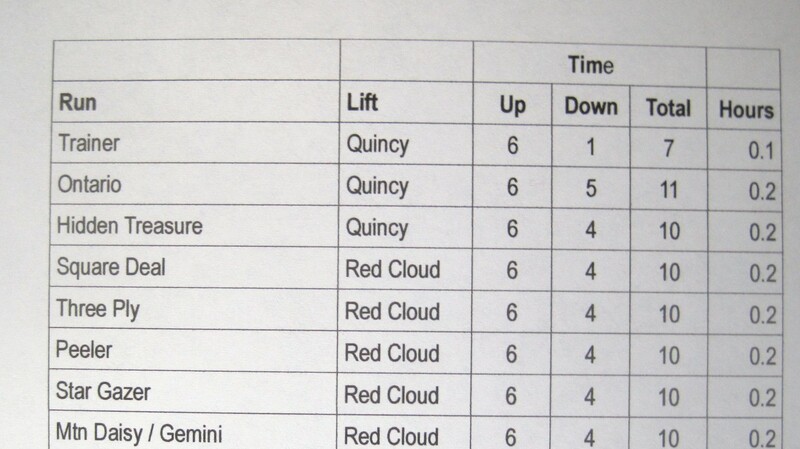 In this blog, a few seasons ago, I shared an obsession of mine to rack up as much ski vertical as I possibly could. 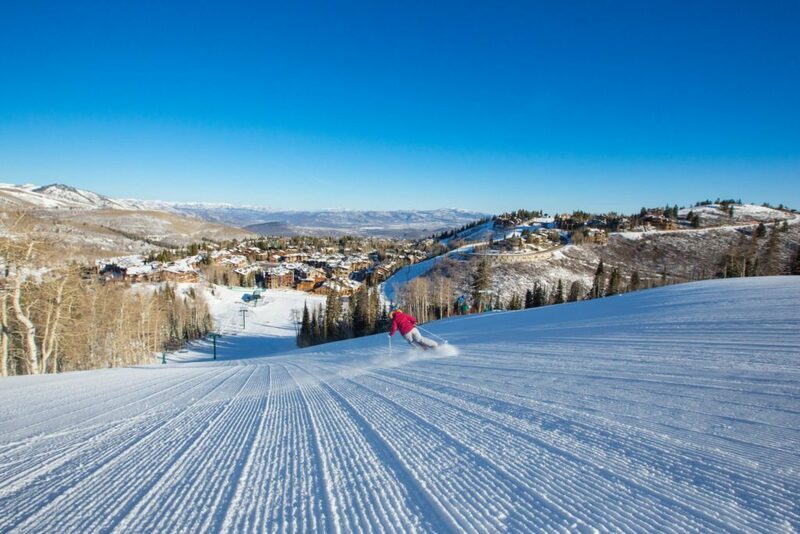 I’ve since gotten over it, and this season, I’ll be focusing instead on a new challenge a friend of mine suggested we try to accomplish: ski as many runs at Deer Valley Resort as we possibly could, in just one day. When I heard about the idea, I liked it a lot, thought it was a great way to further my knowledge of the resort. So, I immediately began researching the subject. 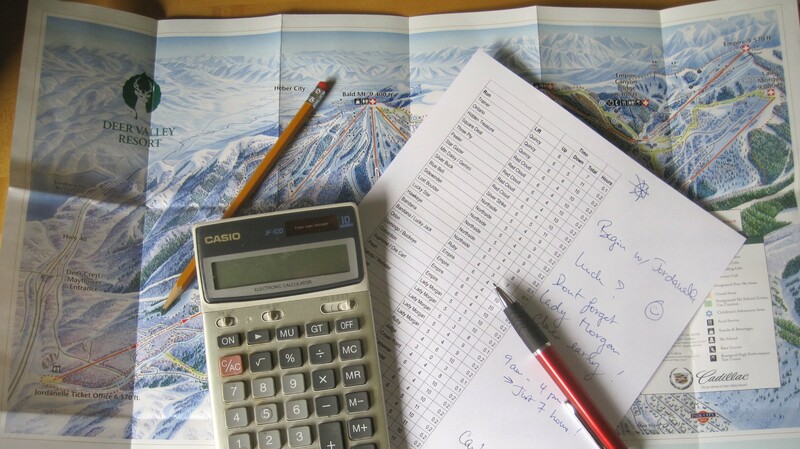 With 100 designated ski runs at Deer Valley and six open bowls, I would have my work cut out for me! At first, I was not quite sure how to go about defining the project. What originally was intended to be a team event ended up becoming my sole responsibility as my friend and his busy calendar couldn’t join me within the dates we had originally targeted. So here I was, on my own and compelled to design the project from scratch. Being one’s own boss isn’t that terrible though; I would be able to make my own rules and fashion them so the contest would be as user-friendly and as convenient as I wanted it be. With that in mind and since there was no one to watch over my shoulder, I also committed to follow my rules to the letter. 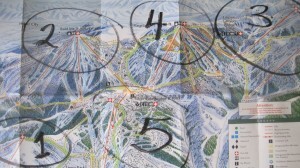 I began by deciding that I would only focus on marked ski runs with perhaps one exception: I like some of the kid’s runs. I’m particularly fond of Bucky’s Backyard, a whimsical bumpy run off the Bandana ski run. I would also leave the resort’s six bowls out, as the infinite variations they offered might complicate things and be subject to endless interpretations. 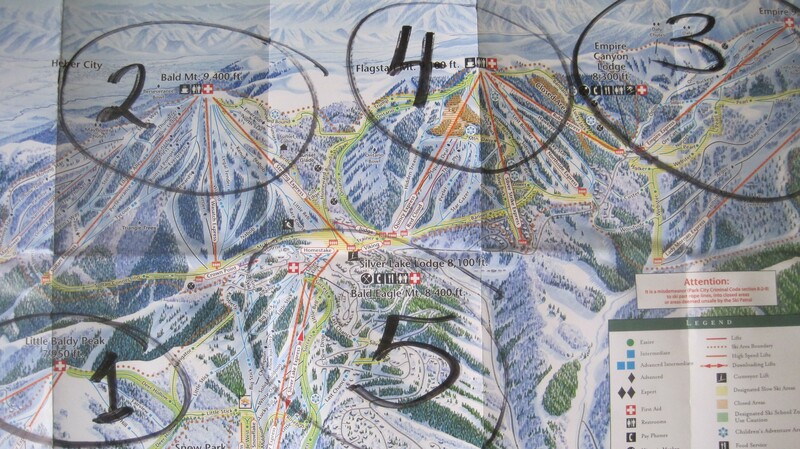 I would also allow myself to conveniently count one small run that would be close to a larger one so I could score an extra run without having to take the same lift one extra time for just completing a tiny trail. For example, Trump is a sub-set of Ontario, and I assumed that going through Trump, while skiing the remaining balance of Ontario should count for two runs. With that in mind, I began by inventorying all the marked trails that I could see on the official Deer Valley Resort map and tried to organized my findings in a sequential order that I felt, would maximize the number of runs I could cover during the time most lifts were open, that is from 9 a.m. until just after 4 p.m.
For each trail, I estimated the time it would take me to ride up the lift, plus the necessary time to safely ski down to my next lift or run, and I added everything as I went through the Deer Valley trail map. I came up with a total number close to one hundred and figured it would take me more than twelve hours to navigate the whole itinerary. 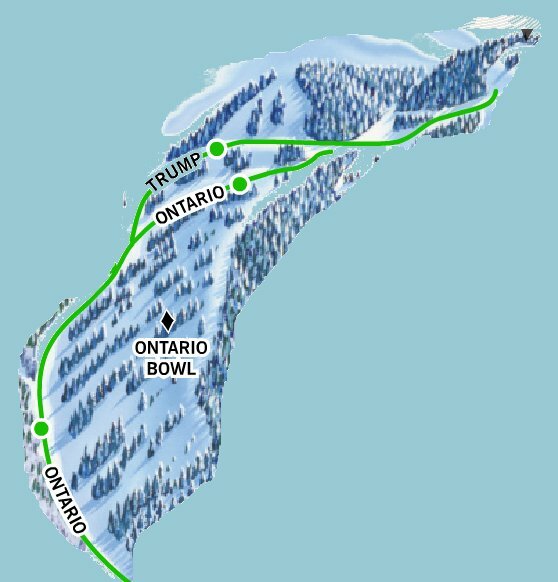 With the lifts being opened just seven hours, I would not be able to ski all the runs in the space of one day, but would do my best to ski as many trails as humanly possible. 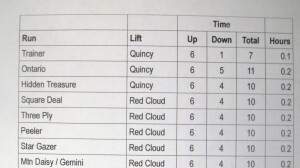 They were, of course, a few unknowns like the possibility for some bad weather and, if that were the case, perhaps some wind-hold during which certain lifts could be temporarily stopped. In addition there was also the likelihood of fairly large crowds as I wanted to run my experiment during the Spring Break holidays. 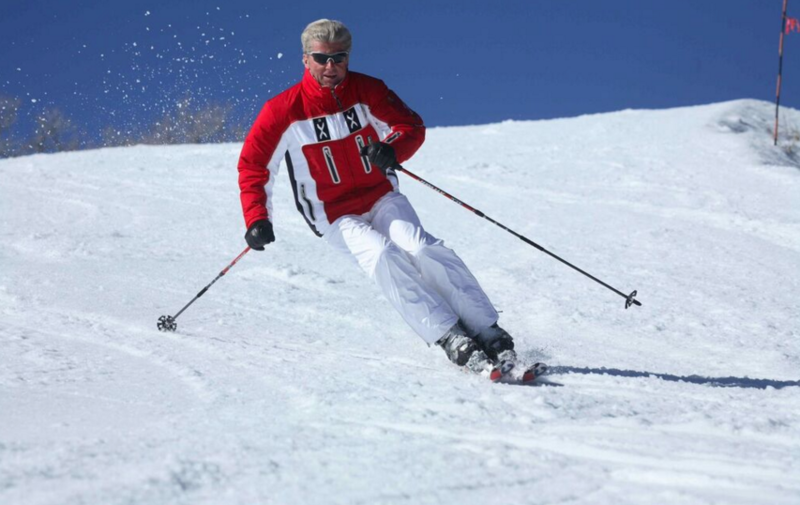 More skiers would demand more attention and reduced speed while skiing down the hills. Any significant delay would have a detrimental impact on the total number of runs. At first, I had considered taking a break for lunch, but that possibility quickly appeared to be a luxury I could hardly afford if I wanted to rack up the highest possible number of runs. I could also have tried to optimize my course so I would hit only those runs or lifts that provided me with the best return on my time and efforts, but I decided against it. I had in mind that I would begin with the Little Baldy Peak area then move to Bald Mountain, Empire, return to Flagstaff and conclude the day around Bald Eagle Mountain. Finally, I was asked by some why I wouldn’t use a smart phone app to account for my day, but I must say that I didn’t want to take any chance and suffer any breakdown due to failing technology, so I planned to keep the running tally by hand. Shortly, I will let you know how the project went and how many runs I was able to cover in just one day of skiing. 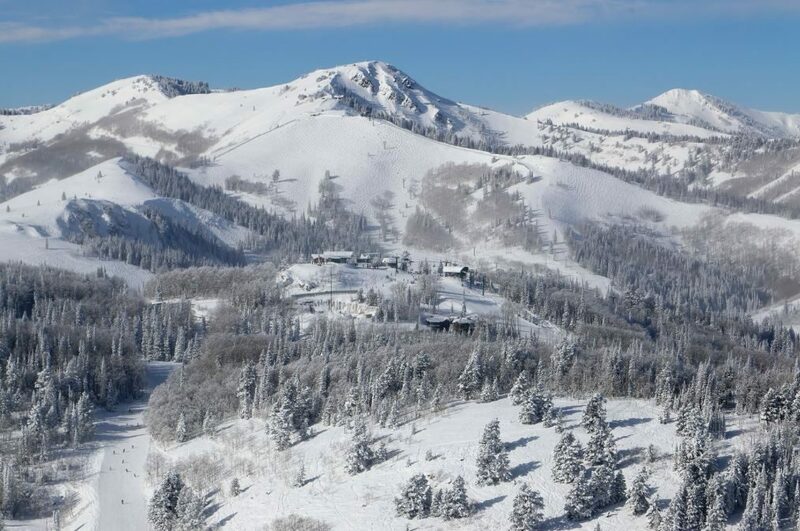 Of course you don’t have to wait for these results; you can try tomorrow if you feel like it and discover what a typical ski day at Deer Valley Resort can be worth in terms of total ski trails visited. Modify or change some of my rules if you have to and please, ski safely!